Over 2,000 residents from Gugulethu, Philippi and Nyanga marched to the social development offices in Gugulethu on Wednesday to protest about the administration of a social grant intended for the poor, claiming it was being politicised in election campaigning. The march was organised by the Anti-Eviction Campaign, which claims that only ANC members are given the grants and that not enough people are able to access it. The marchers arrived at the offices at about 9am and sat down in the sun singing songs while the AEC met with social development department officials inside. Many of the people appeared to be at the march in the hope of getting on the list to access the grant. The grant in question is the Social Relief in Distress Grant, which is worth R960 per month for a period of two months to families in dire social need. 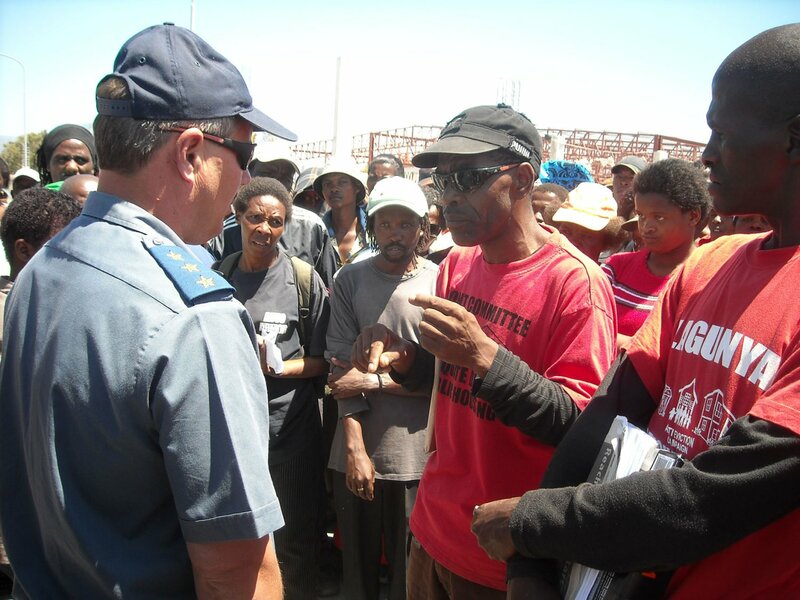 Mncedisi Thwala, a Gugulethu Anti-Eviction Campaign leader, accused government of using the grants to campaign. He said communities were being told to go to social development offices and apply for the grant, but that only ANC members were able to get them. He said government should increase the number of people who accessed the grant. Thwala said there were over 5,000 people who were in need of the grant in the Gugulethu area, but that only 300 people had been able to access it. “This money is for the poor and they are attaching it to politics,” he said, adding that they had given the social development department 14 days to respond to their demands to increase access to the grant. But Social Development Department director of district offices and facility management Quinton Arendse said Zola Skweyiya, Minister of Social Development, had allocated R500-million nationally for the grant and the Western Cape had received R21.5million. During the May 2008 xenophobic attacks R10-million had been spent, making it difficult to give grants to many people. He denied that the grant had been politicised, saying as a government department they were not obliged to be partisan. He said the grant was intended for people in “dire need” and not for those who were only unemployed. Sylvia Awanti, 57, who is unemployed and supports two children, said she had been looking for a job for “many years”, but had never found one. She said she did not know about the grant until ANC members started campaigning in Gugulethu. “They say we must support them yet we don’t see nothing.” She said it was painful to see other people accessing the grant.